Welcome to Chocolate Friday! Yet another reason to have more chocolate (as if we need one) - Woo Hoo! 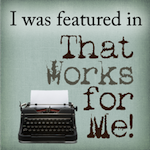 My most excellent bloggy friend Kim is guest posting today. Kim blogs at Homesteader's Heart - you should go check it out. She always makes me smile and today she's hosting Friday Funnies where you can link up your funny posts, so you're sure to find a laugh! Hello everyone. It's Kim from Homesteader's Heart here. 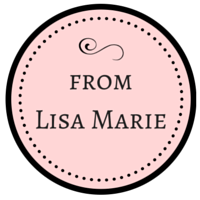 I love guest posting for my bestest bloggy buddy Lisa. 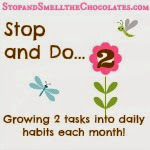 I love her and chocolate so much I thought about renaming my blog to "I Stopped, I Smelled, I ATE the Chocolates!" LOL! Okay, maybe not! I feel I blog more about chocolate then she does sometimes. Hee! Hee! You wanna trade names Lisa? Just kidding! 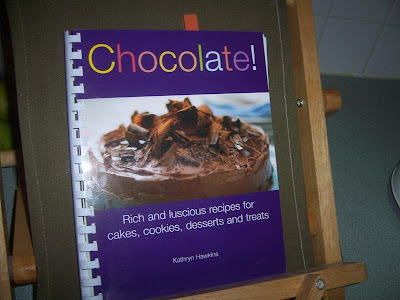 Anyway, for Christmas my dear friend Lisa sent me this lovely book named Chocolate! With it came a small request. 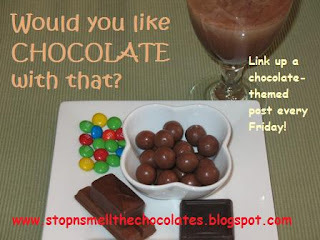 That I would make something out of it and guest post for her Chocolate Friday! Well after much arm twisting and leg pulling I caved and made a recipe. (Did I mention she bribed me by sending chocolate with the book?) How do you say no to that? Hee! Hee! I would have done it anyway and she knows it! I mean come on, it's CHOCOLATE!! I hope you dare try it. 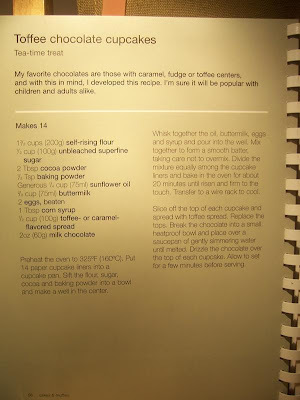 I made the Toffee Chocolate Cupcakes on page 56. But like I do everything I make, I had to tweak it a little due to the fact that I didn't have ALL the ingredients it called for. But I think it still turned out yummy. I took a picture of the original recipe so you can try it the way it is. 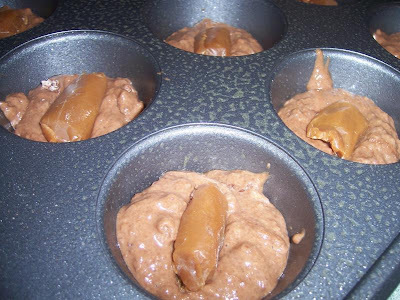 The only thing I did differently was I put homemade caramels, left over from Christmas, in the middle of the batter instead of the toffee filling. I simply filled the muffin cups half way with batter, stuck a yummy caramel in the middle and then covered them with more batter. I admit these were really yummy right out of the oven while the caramel was still soft and gooey. If I had to do it over I would probably stick 2 caramels in the middle but they were still good just the way they were. I then melted some dark chocolate chips that I had on hand with a little coconut oil and then drizzled them over the top after they cooled about 5 mins. 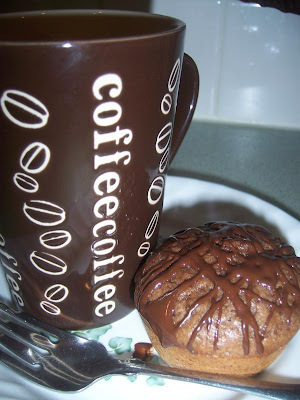 They went perfect with a hot cup of coffee! Thanks Lisa for this opportunity to say Howdy to YOUR blogging buddies. Feel free to stop by and visit me at my blog! HUGS! Yummy!! Those look great and you could have fun trying different things in the middle! Thanks Kim! Now you know the drill. It's your turn to...yes, link up!! Bring those old or new chocolate posts over here and link them up below so we can all share the chocolate! Have a fantastic chocorrific Friday! 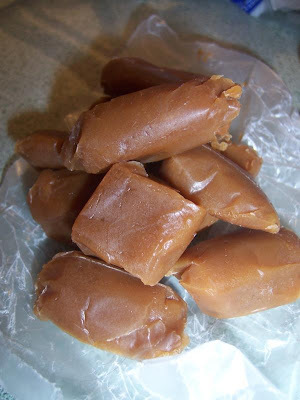 Oh where will find that recipe of home made caramels-i was drooling at the perfect professional looking caramels and a wee bit later when i read they are home made-oh the recipe mus be at ur blog right? Who is this wonderful person for whom you speak? What would you ever do without her? I think you should visit her and make some wonderful chocolate concoction together. Big I guess I'll have to get the recipe for the homemade caramels and guest post once again because I'm good like that size hugs to you! LOL. Okay - YUM! Seriously - chocolate & caramel + coffee = mommy bliss. GONNA have to try these!!! Oh wow, those look delicious!!! And that cookbook, well I may have to have it! I linked up to my post from earlier in the week - thanks! Thanks, Kim and Lisa! Those cupcakes look yummy, and I'm already thinking of different things to put in the middle. Mini peanut butter cups, maybe? Those cupcakes look so yummy. You know I was never into chocolate and desserts until after I hit the ripe old age of 40. Now I'd rather have dessert than the entree; lol. I really enjoyed the way you two posted this today! Can't wait to scope out the recipes. I have to say they were pretty tasty!...I had two! :) YUM! I love KIm's cupcakes. Sorry, I was late adding my recipe which is really good, if I say so myself. I love having your blog to go to whenever I need a chocolate fix.